The much anticipated second part of Dockies – the ‘works on paper’ opens on Thursday 8th September and delivers even more than the highly successful show of paintings staged back in February of this year. 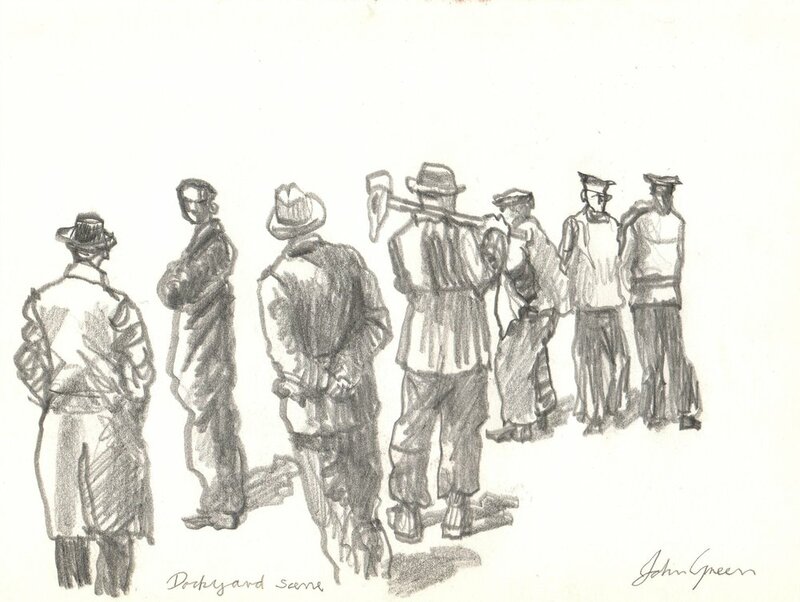 John Green is a quiet man but has so much to say about his years in the Portsmouth Dockyard and in this show he does it on paper with brush, pen, pencil and drypoint tool. 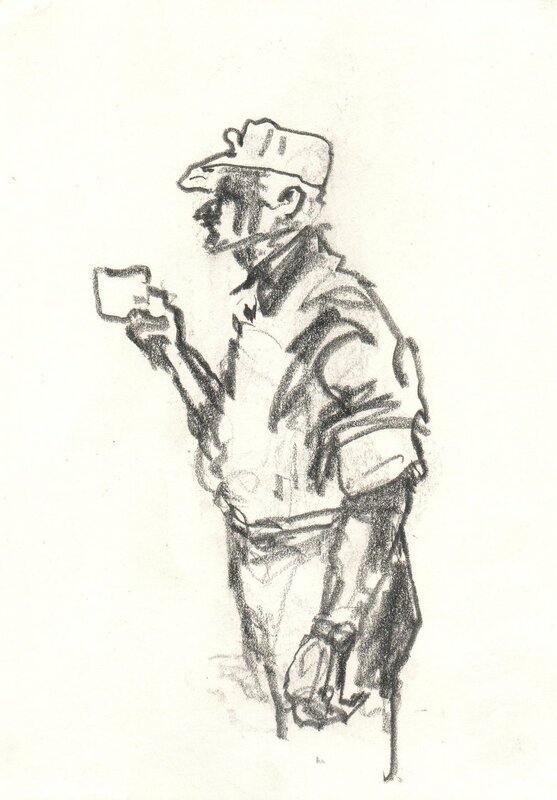 His rapid on the spot sketches capture precisely the weight of the job in hand, the stance of the man smoking, the detail of the ship in the distance – these are images effortlessly imprinted in his mind through years of observation and experience. 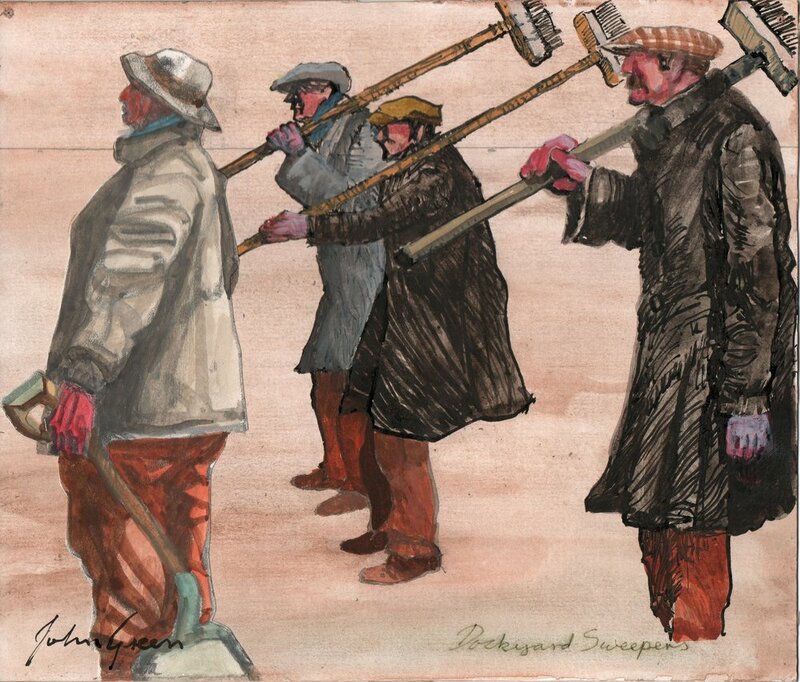 They not only demonstrate his natural skill as a draughtsman but also his wry humour and affection for his subjects. This show covers a broad range of work and sees John experimenting with techniques and styles. There will also be a chance to glimpse into the world of his sketchbooks which are a trove of ideas, art historical references, notes and practical working drawings or as Bill Crow writes ’little masterpieces exquisitely detailed, accompanied often by notes of extraordinary insight. It is a well used cliché to observe that sketchbooks are the ‘windows to the soul of the artist’ …. well John Green’s sketchbooks are the windows whereby we can enter the DNA of his mates, the riggers, the dockies, and their old Sorts, over the past half a century of life in Portsmouth’.